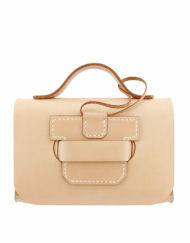 This season, Fabien mixed new colors and materials. 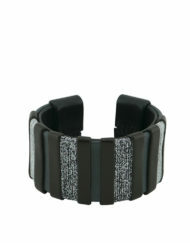 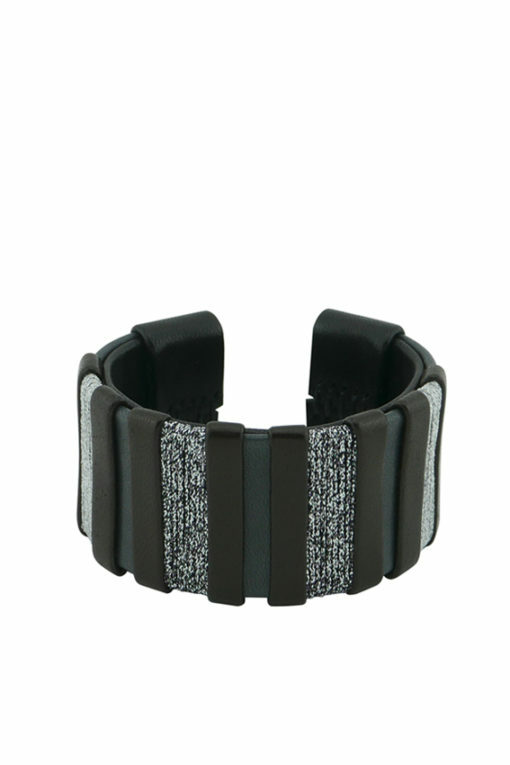 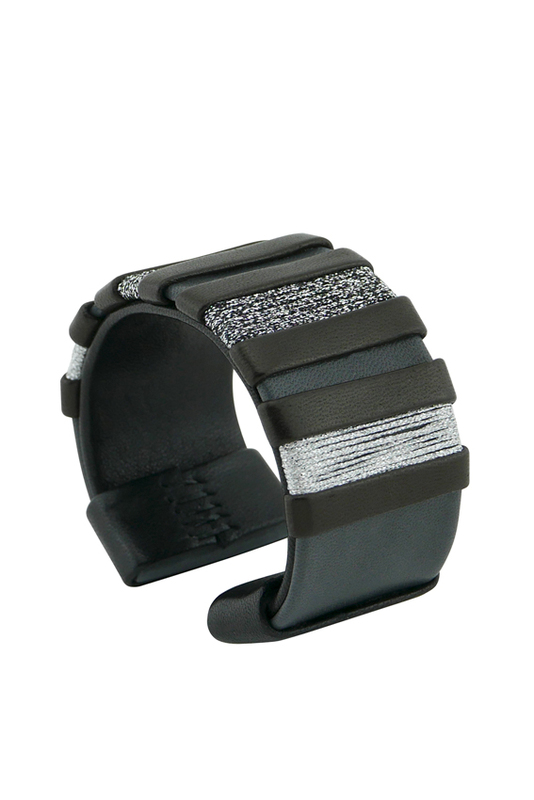 This cuff combines luxurious black and grey lambskins and metallic threads for an elegant and original jewel. 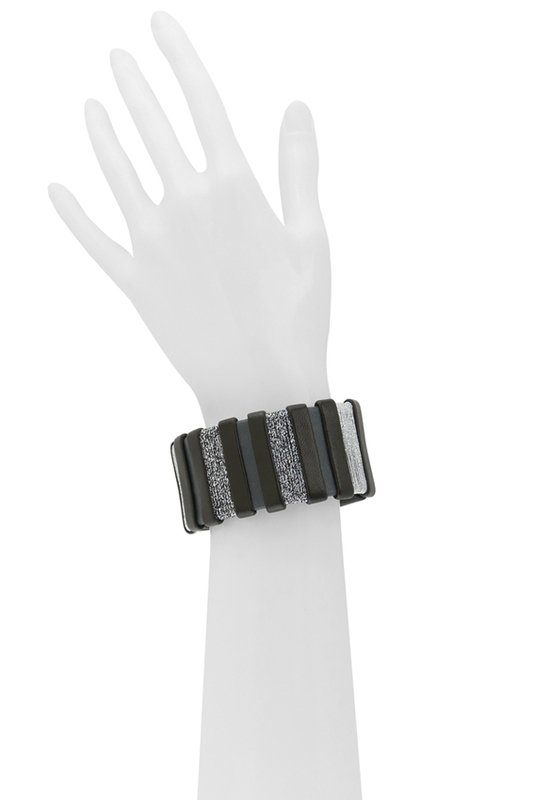 This cuff is entirely handcrafted in our workshop in Paris.